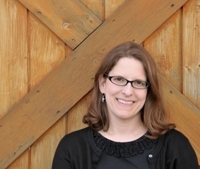 Kathy MacMillan is a writer, American Sign Language interpreter, librarian, and signing storyteller. She is the founder of The Sweet Sixteens 2016 debut group and the Published and Listed Member Coordinator for the Maryland/Delaware/West Virginia Region of the Society for Children’s Book Writers and Illustrators. 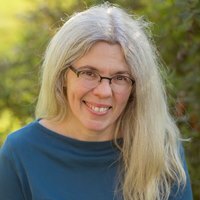 She has published eight nonfiction books, including Little Hands and Big Hands: Children and Adults Signing Together (Huron Street Press). She lives near Baltimore, MD with her husband, son, and a cat named Pancake. Find her online at www.kathymacmillan.com or on Twitter at @kathys_quill. Raisa was a child when she was sold into slavery in the kingdom of Qilara, where literacy is a capital offense for all but the nobility. When she is selected to replace the executed Tutor-in-training, Raisa knows that she must hide her writing past. Keeping her secret is hard enough, but the romance that blossoms between her and Prince Mati doesn’t help matters. Then Raisa is approached by the Resistance to help liberate the city’s slaves by aiding a war against Mati. As Raisa struggles with what to do, she discovers a secret that the Qilarites have been hiding for centuries—one that could bring the kingdom to its knees. Ruth: What a super story! A brave heroine, a caste system, gods involved in humans’ civilizations: Which part of this book came to you first? Kathy: Well, the background is that I have been a librarian for a long time. Before I became an interpreter, I was a librarian. Even while I was studying to become an interpreter, I worked as a school librarian at the Maryland School for the Deaf. Later I became a freelance interpreter, but in my heart, I am always a librarian. I have always been fascinated with libraries and their history. About thirteen or fourteen years ago, I was reading about ancient libraries, particularly the library of Alexandria, and I came across a mention of an ancient library composed entirely of letters. And I thought, what if there was a library full of letters written to the gods? That was the seed of the story. In fact, the original title was “The Library of the Gods”. And then I thought about how this culture would have a special script used only for communicating with the gods, and how that would impact everything else in the society. Ruth: Raisa and her world are so vivid. Do you have a system for world building? Do you work it all out first or let it develop? Kathy: Both! 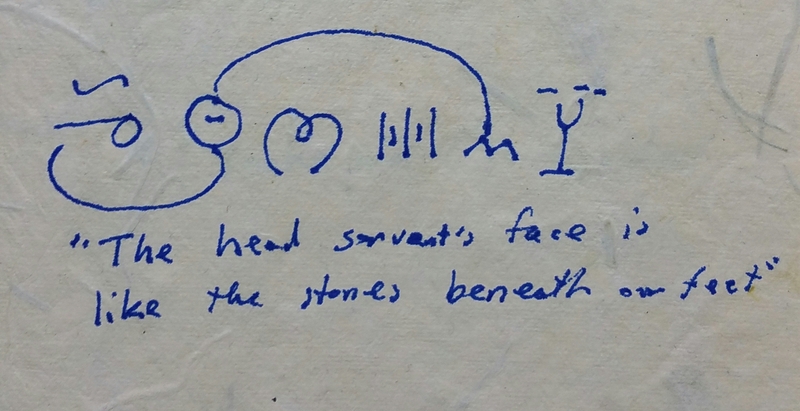 I brainstormed a lot of the culture before starting to write, and I did a lot of research about ancient cultures as well to inspire the details of the story. 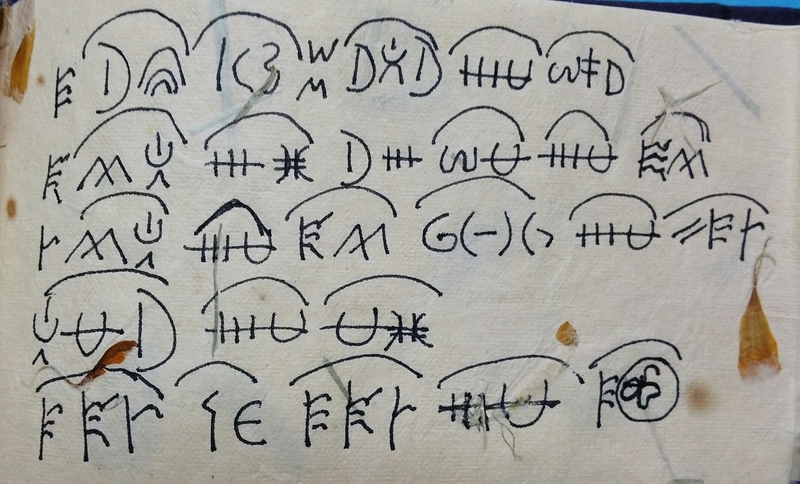 I worked on the writing systems, too. I have a couple of thick notebooks full of ideas, notes, maps, and so on. I started with the story of the gods, which impacted the development of the written language, which in turn had a lot of influence on Raisa’s story. I also now have a 63-page spreadsheet listing the various countries and cities and a ridiculous level of detail for each, everything from population details to economics, even average rainfall! Some of those things were developed before starting to write, and some came up during the writing process. Ruth: Both of us are ASL interpreters. Talk to me about how your involvement in the Deaf community influenced this book. Do you find ASL and Deaf culture entering into your writing in any manner or influencing certain aspects of how you think about language when you write? 1) As an interpreter, I am always analyzing language and meaning. Not just the surface meaning of the words or signs, but the contextual and hidden meanings too. The nuances of language are a very important part of Sword and Verse. 2) Being involved in Deaf culture has really shown me that language and culture are inextricably linked. Each influences the other. I really wanted to show that concept in this story. 3) Unfortunately, language is often used by the majority to oppress the minority. That has happened to Deaf people consistently throughout history, with the hearing majority oppressing Deaf people by limiting access to language, especially sign language. In Sword and Verse, the majority culture oppresses the minority by controlling access to the written language. 4) This one is funny, but entirely true: my editor pointed out that I have a tendency to obsess over where characters are looking, gazing, studying…I guess that, as an ASL interpreter, I am hyper-focused on people’s faces, and especially their eyes, as eye gaze is such an important part of ASL. During the revision process for Sword and Verse, I deleted hundreds of references to eyes! Ruth: Did you actually create writing systems for this book? Can you write something for me in their language? Kathy: Yes! 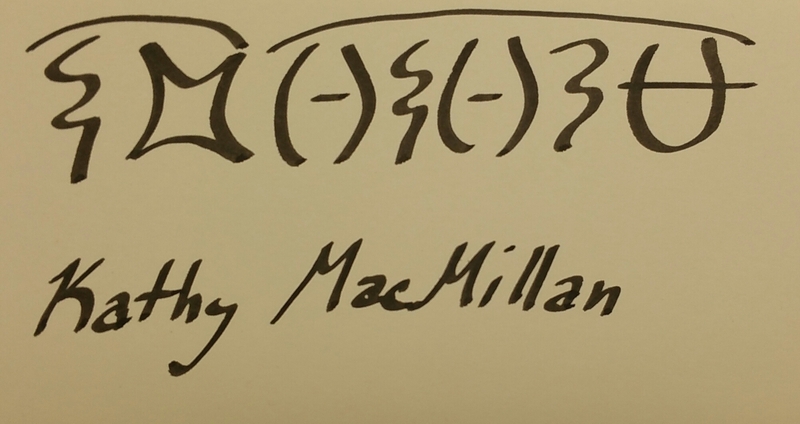 Sword and Verse features three different writing systems. The first is the higher order symbols, which can only be used by the king, prince, and their Tutors, on pain of death. This system is a bit like Chinese characters in that each symbol represents a concept. There are 1000 higher order symbols. There are also determinatives – markers that can change the meaning of a symbol, depending on where they are places. 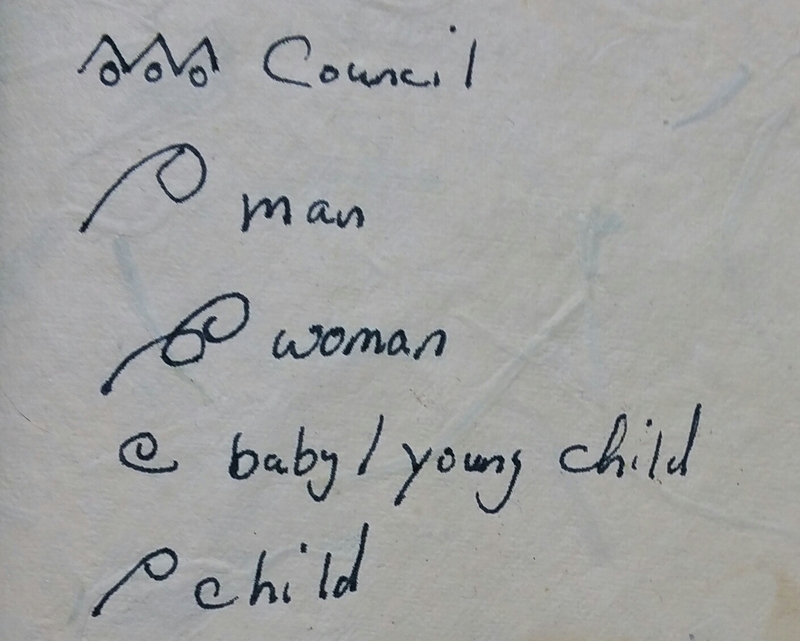 The second kind of writing is the lower order symbols. This system is also concept-based, but it has a whopping 4087 symbols, with no determinatives. Lower order symbols can only be used by the nobility, called Scholars. It is forbidden for the lower classes to write at all. The third kind of writing is Arnath script. This is the writing of Raisa’s people, from the islands where she was born. Raisa’s people believe that writing should be available to all people. This system is a sound-based syllabary, similar to an alphabet, but each symbol represents a syllable, for example “rai”. So, yes, I did create the actual scripts mentioned in the story. It was fun! Ruth Lehrer is a writer and sign language interpreter living in western Massachusetts. Her fiction and poetry have been published in journals such as Jubilat, DecomP, and Trivia: Voices of Feminism. She is the author of the poetry chapbook, TIGER LAUGHS WHEN YOU PUSH. Her novel, BEING FISHKILL, will be published by Candlewick Press in 2017. Tags: ASL, Debut Club, Kathy MacMillan, Ruth Lehrer, YA fantasy. Bookmark the permalink. 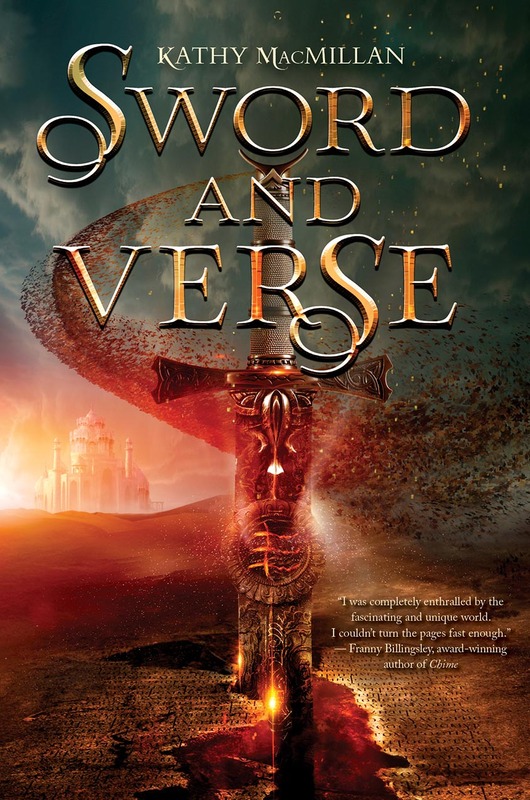 I am reading Sword and Verse right now and this interview has just made me even more gob-smacked by Kathy’s talent. Amazing world-building! This is an amazing interview. I’m hopelessly signing-impaired and even I got chills at how beautifully you speak! Thank you, both of you.